Twelve Bangladeshi asylum seekers are enduring “unliveable conditions” in Ping Che that should shock the government into doing more for a community excluded from society, local human rights activists say. Their compound is pest- infested and lacks proper sewerage. Officials must take drastic action before the stark existence of these Bangladeshis worsened, said Vision First, an NGO that advocates rights for people seeking protection, and human-rights barrister Robert Tibbo. 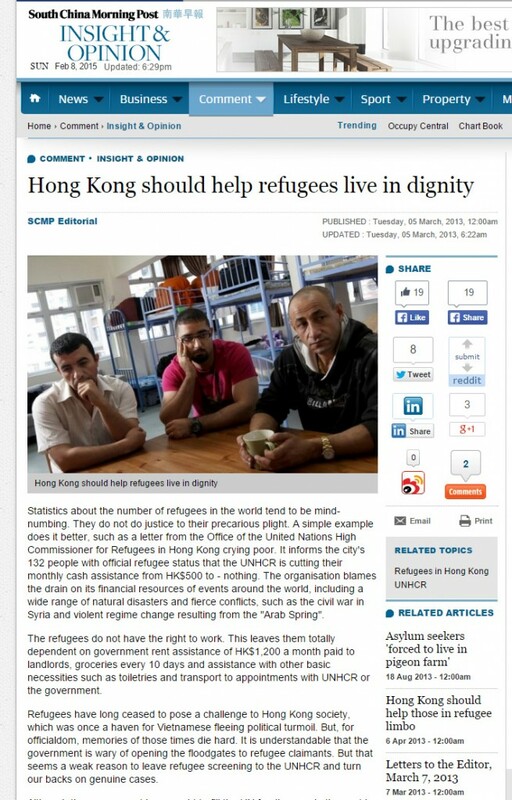 Vision First executive director Cosmo Beatson said: “These dangerous, dirty, unliveable conditions must be exposed as a matter of social justice, because Hong Kong has an obligation to treat fairly those who seek asylum here. They are invisible to society.” The men, who are between 23 and 40 years old, all claim to have been victims of torture. 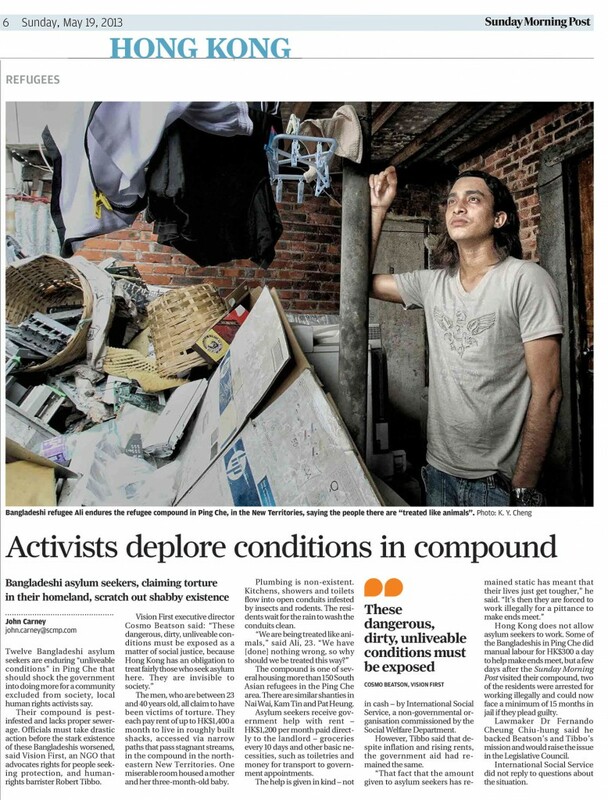 They each pay rent of up to HK$1,400 a month to live in roughly built shacks, accessed via narrow paths that pass stagnant streams, in the compound in the northeastern New Territories. One miserable room housed a mother and her three-month-old baby. Plumbing is non-existent. Kitchens, showers and toilets flow into open conduits infested by insects and rodents. The residents wait for the rain to wash the conduits clean. “We are being treated like animals,” said Ali, 23. “We have [done] nothing wrong, so why should we be treated this way?” The compound is one of several housing more than 150 South Asian refugees in the Ping Che area. 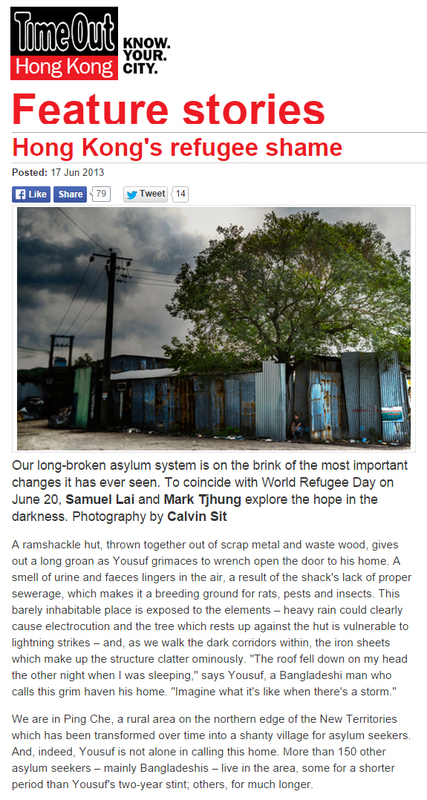 There are similar shanties in Nai Wai, Kam Tin and Pat Heung. 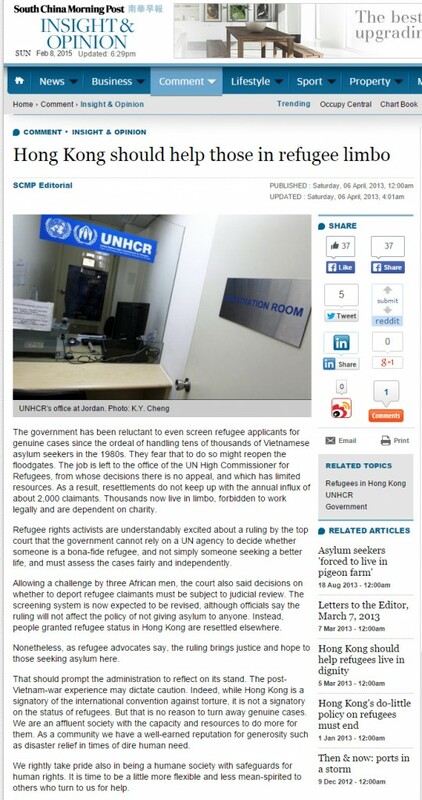 Asylum seekers receive government help with rent – HK$1,200 per month paid directly to the landlord – groceries every 10 days and other basic necessities, such as toiletries and money for transport to government appointments. The help is given in kind – not in cash – by International Social Service, a non-governmental organisation commissioned by the Social Welfare Department. However, Tibbo said that despite inflation and rising rents, the government aid had remained the same. “That fact that the amount given to asylum seekers has remained static has meant that their lives just get tougher,” he said. “It’s then they are forced to work illegally for a pittance to make ends meet.” Hong Kong does not allow asylum seekers to work. 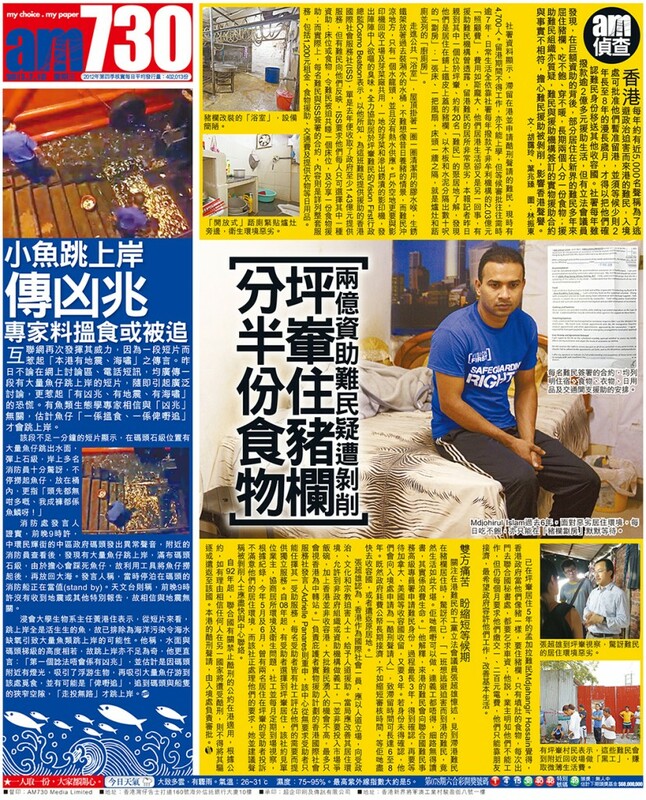 Some of the Bangladeshis in Ping Che did manual labour for HK$300 a day to help make ends meet, but a few days after the Sunday Morning Post visited their compound, two of the residents were arrested for working illegally and could now face a minimum of 15 months in jail if they plead guilty. Lawmaker Dr Fernando Cheung Chiu-hung said he backed Beatson’s and Tibbo’s mission and would raise the issue in the Legislative Council. 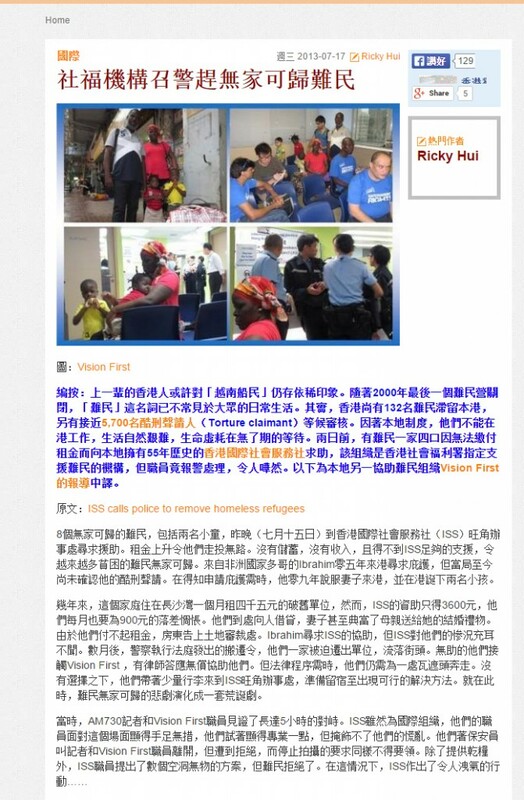 International Social Service did not reply to questions about the situation.